Growing together. Learning together. Inspiring together. Why choose ELevate? what sets us apart? At ELevate, we believe everyone is able to dance and deserves the chance to achieve their dreams. We strive to provide superior instruction with smaller class sizes that focus on furthering technique, increasing flexibility, emoting through dance, building strength and promoting a strong sense of self. We provide support and love for all our students and aim to maintain a positive, healthy environment in which our students are able to blossom. ELevate ensures that our instructors provide clean music. We pride ourselves in choosing age appropriate songs and costumes for all our dancers of all levels. 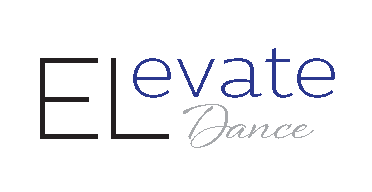 ELevate Dance is committed to instilling a deep passion and appreciation of the art of dance in all our students. We hope with all they learn, they are able to further their technique, deepen their friendships and share their love of dance with the community and beyond. ELevate only employs the most qualified individuals that share in our values and methods of teaching through positivity. Our instructors' resumes speak for themselves and all have been in the dance world for many years in various capacities. As such they are able to provide a solid foundation on which our dancers are able to grow. We would love to welcome you into the ELevate family. Summer registration opens March 10, 2019!